In stock -This product will ship today if ordered within the next 11 hours and 3 minutes. 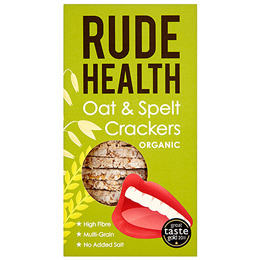 Rude Health take the finest organic oats and spelt, puff them and turn them into big, satisfying circles for you. They have a nutty sophistication all by themselves, or you can pile more yummy stuff on top. Also made in a facility that handles nuts. 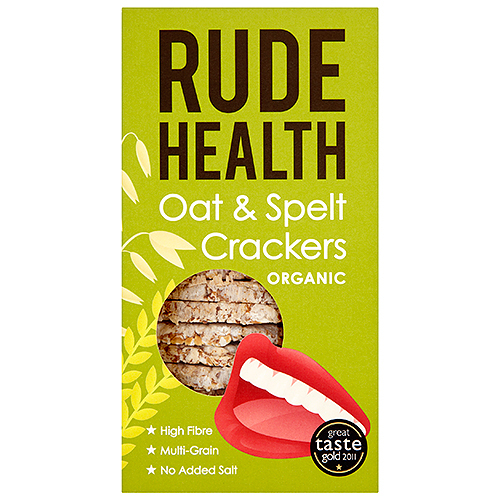 Below are reviews of Rude Health Organic Oat & Spelt Crackers - 130g by bodykind customers. If you have tried this product we'd love to hear what you think so please leave a review.